Everyone deserves beautiful hair. Sunsilk believes that the secrets to beautiful hair shouldn’t be locked behind the salon door. 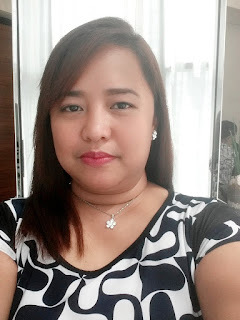 That's why Sunsilk has worked with internationally renowned hair experts to create salon-quality products for every girl, whoever she is, wherever she lives, whatever her hair type. 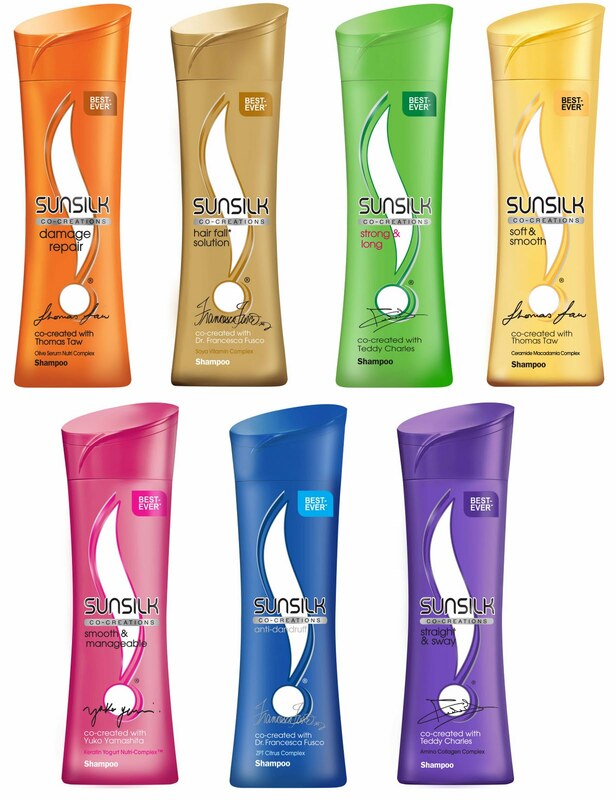 For over half a century, Sunsilk has relentlessly sought to bring brilliant hair products to millions of women across the world to care for hair and keep it at its best. In a quest to unlock the secrets to specific hair types, Sunsilk began a search for these specialist hair experts: the world’s best at what they do, be it straight, sleekness, hairfall or damage control. Experts who are not only superlative hair professionals, hairdressers or clinicians, but obsessive industry pioneers who don’t sleep until their clients have perfect hair. They are dedicated to the creation of the world’s best hair care products; they love, live and feel for that particular hair type; the kind of perfectionism you want to bottle. They’ve turned obsession into a life ambition. So has Sunsilk, making it the perfect reason to work together; not as a one-off, but in a long-term partnership where their shared vision creates something new, different better. 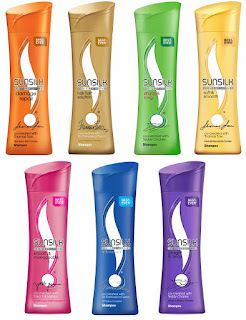 Now, Sunsilk is co-creating product ranges with some of the world’s best hair experts. Their role – to “steer” and “stir”: providing valuable insight and knowledge to help create brilliant new products, working alongside the brand’s technical teams to produce brilliant new formulations for all hair types. Enriched with Keratin Yogurt Nutri-Complex, it gently cleanses and coats hair strands to smoothen fluffy hair. Sunsilk teamed up with Yuko Yamashita from Japan, creator of YUKO Hair Straightening, turning hair from unruly to manageable, to co-create Sunsilk’s most advanced Smooth and Manageable formulation for extraordinarily smoother++ hair that stays beautifully in place all day long. Enriched with Active Fruitamin Complex, its rich moisture formula gently cleanses and refreshes your hair, while penetrating it and fortifying hair fibers so it becomes up to 10x stronger*+ and 3x smoother+ with boosted shine. Sunsilk teamed up with Paris-born Teddy Charles, creator of some of the world’s latest runway and premier fashion magazine looks, to co-create Sunsilk’s most advanced Strong & Long formulation for strong* and smoother hair. Enriched with Olive Serum Nutri Complex, it gently cleanses and gives care to the most damaged hair, while reconstructing beneath the hair surface and filling damaged cracks deep inside – layer by layer, strand by strand. Sunsilk teamed up with Bobsoho Salon of London, founded by Thomas Taw, famous for resuscitating damaged hair, to co-create Sunsilk’s most advanced Damage Repair formulation to give back extreme smoothness and health to your damaged hair. Enriched with Amino Collagen Complex, it cleanses your straight hair and gently relaxes your hair bonds, providing softness and suppleness to give natural movement ++ to your artificially straightened hair. Sunsilk teamed up with Paris-born Teddy Charles, creator of the world’s latest runway and premier fashion magazine looks, to co-create Sunsilk’s most advanced Straight and Flowing formulation for ideally straighter hair full of natural movement. Enriched with Ceramide Macadamia Complex, it gently cleanses and conditions even the driest and roughest hair, while acting as a softening agent to rebalance hair condition. Sunsilk teamed up with Bobsoho Salon, founded by Thomas Taw, famous for resuscitating dry hair, to co-create Sunsilk’s most advanced Soft&Smooth formulation for hair that is silky soft to the touch. Enriched ZPT Citrus Complex, it thoroughly cleanses and refreshes while purifying your scalp to start elimination dandruff** from the first wash and protect the hair’s natural condition from dryness. Sunsilk teamed up with Dr. Francesca Fusco from NYC, world-class dermatologist and expert at understanding skin and scalp care, to co-create Sunsilk’s most advanced Anti-Dandruff formulation for a restored dandruff-free** scalp and beautiful hair. Enriched with Soya Vitamin Complex, it gently cleanses weakened, easily-broken hair, while reinforcing hair from roots to tips. Sunsilk teamed up with Dr. Francesca Fusco from NYC, world-class dermatologist and expert at understanding skin and scalp care, to co-create Sunsilk’s most advanced Hair Fall* Solution formulation for visibly less hair fall.